The ACF Washington is honored to host the performance The Pianist of Willesden Lane with Grammy®-nominated pianist Mona Golabek as a preview event to her upcoming show at theJohn F. Kennedy Center for Performing Arts, presented by Theater J, running from September 12 to 30, 2018. Performed by Jura’s daughter, Grammy®-nominated pianist Mona Golabek, The Pianist of Willesden Lane combines enthralling story telling with breath-taking live performances of Bach, Beethoven, Chopin, Rachmaninoff, and more. 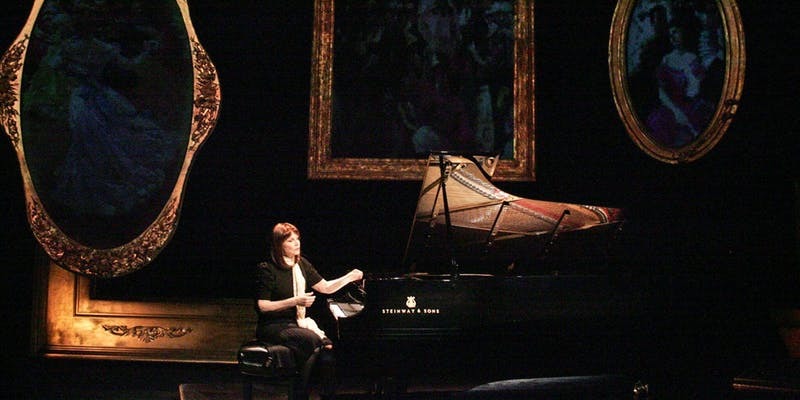 The performance The Pianist of Willesden Lane is based on the bookThe Children of Willesden Lane by Mona Golabek and Lee Cohen, and was adapted and directed by Hershey Felder. Mona Golabek is the daughter of Lisa Jura, a concert pianist born in Vienna Austria, who came to England as a young teenage refugee in 1938 as part of the Kindertransport rescue operation. Her father, Michel Golabek, was a French resistance fighter, who received the Croix de Guerre. Mona’s grandparents died at Auschwitz. Inspired and taught by her mother, Mona herself became a concert pianist. Appearances at the Hollywood Bowl, the Kennedy Center, Royal Festival Hall, with major conductors and orchestras worldwide, the Grammy® nominee and prolific recording artist, has been the subject of several documentaries including Concerto for Mona with conductor Zubin Mehta. Her mother is the subject of Ms. Golabek’s acclaimed book The Children of Willesden Lane. The book, now in its 24th printing, has been translated and published in French and Italian with forthcoming German, Spanish, and Hebrew publications. BBC Feature Films is currently in development for a feature film based on the book. In 2012, Mona made her debut at the Los Angeles Geffen Playhouse in The Pianist of Willesden Lane, adapted from the book. The production, directed by Hershey Felder, has been acclaimed by critics and audiences across America, with recent sold-out theatrical runs in New York and London. Mona has received Best Actress Nominations from the New York and Los Angeles Drama Critics and the show has been listed among the top-ten shows in many major cities.